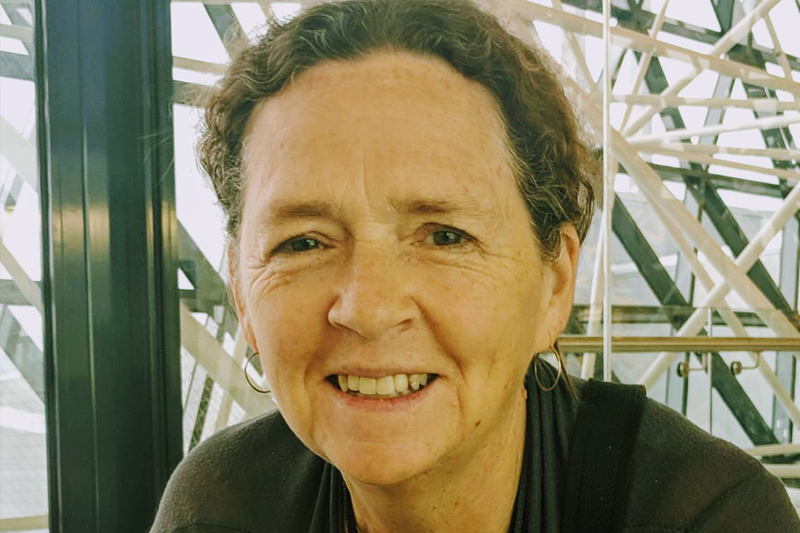 Karen Banks, a networking pioneer in the field of information and communications technologies (ICTs), will be awarded a Lifetime Achievement Award for her work using technology as tools for social change. Karen Banks is a networking pioneer who has worked with information and communications technologies (ICTs) and their applications as tools for social change since 1990. Karen is from Melbourne, Australia, but has been a resident of the UK since 1990. Between 1990 and 1997 she maintained an international gateway called ‘GnFido’ at London-based GreenNet, a non-profit internet service provider (ISP) founded in 1986. Working with over 60 partners in Africa, South Asia, and Eastern Europe, the gateway used simple “store-and-forward” technology (fidonet and uucp) providing, in many cases, the only means of cheap, efficient electronic communications to thousands of individuals, NGOs, academics, researchers, university and governmental departments. GreenNet continues to provide services to hundreds of activists and NGOs in the UK and is a founding organisation member of the Association for Progressive Communications (APC), an international network and non-profit organisation that wants everyone to have access to a free and open internet to improve our lives and create a more just world. In 1993 along with her colleagues in APC, she formed the Women’s Networking Support Programme (WNSP), which led a 40-strong, all-women team to the UN’s Fourth World Conference on Women in 1995. There they built a communication centre, connected to one of the first internet connections from China to the rest of the world, providing email and web access to over 10,000 delegates, some of whom had never before sent an email or viewed a webpage. The APC WNSP, which Karen coordinated from 1996 to 2004, pioneered the use of ICTs for the empowerment of women around the world. To this day, the programme, now called Women’s Rights Programme (WRP), is at the forefront of the movement to ensure that the political and transformative impact and potential of ICTs to end gender-based violence and discrimination, change power structures and relations, address a range of issues affecting gender, sexuality and other intersectionalities, strengthen solidarity and movements, and to advance a feminist internet. In 2004 the Anita Borg Institute recognised the work of Karen Banks and the APC WNSP, awarding Ms Banks the inaugural Anita Borg Social Impact Award. After coordinating the APC WNSP for eight years and coordinating APC’s internet rights work globally and in Europe from 1998-2001, Karen took up the position of Network Development Manager for APC in 2004. She led APC’s participation in the World Summit on the Information Society (WSIS) and Internet Governance Forum (IGF) until 2008 and was elected as a civil society representative to the UN Working Group on Internet Governance in 2006. From 2008 to 2016 she was APC’s finance manager, during which time she also ran a successful blues and roots music pub with her partner in Cropredy, a small village in Oxfordshire, UK. In June 2013, along with her lifetime APC colleague and friend Anriette Esterhuysen, Karen was selected for induction into the Internet Hall of Fame. She was a founding trustee of Privacy International (until 2017), remains a director of GreenNet in the UK and is currently APC’s operations director.